About the topic "Vertical line test for functions worksheet"
Worksheet on vertical line test for functions is much useful to the students who would like to practice problems on relations and functions. Before, we look at the worksheet, let us see what is vertical line test. Vertical line test is a tool which can be used to determine whether the given graph represents a function or not. Draw a vertical line at any where on the given graph. We have to check whether the vertical line drawn on the graph intersects the graph in at most one point. If the vertical line intersects the graph in at most one point, then the given graph represents a function. 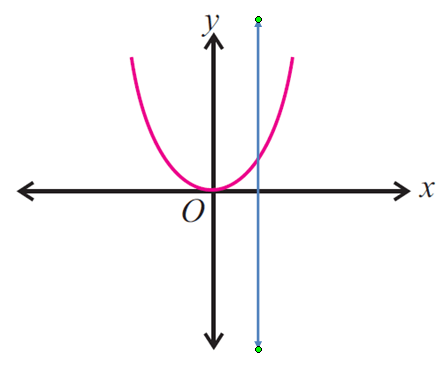 If the vertical line intersects the graph in more than one point, then the given graph does not represent a function. For some graphs, the vertical line will intersect the graph in one point at one position and more than one point at a different position. In the above situation, the graph will not represent a function. A graph represents a function only if every vertical line intersects the graph in at most one point. 1. Use the vertical line test to determine whether the following graph represents a function. 2. Use the vertical line test to determine whether the following graph represents a function. 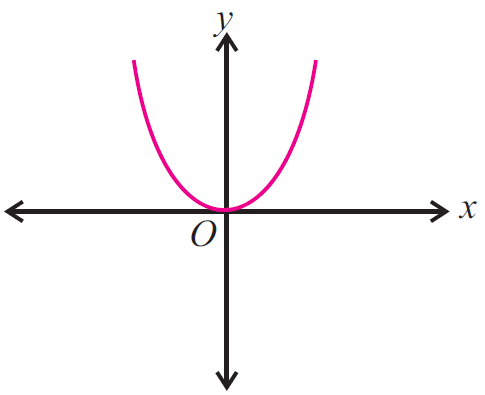 Use the vertical line test to determine whether the following graph represents a function. 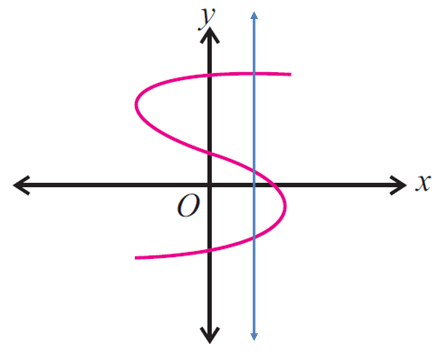 In the above graph, the vertical line intersects the graph in at most one point, then the given graph represents a function. 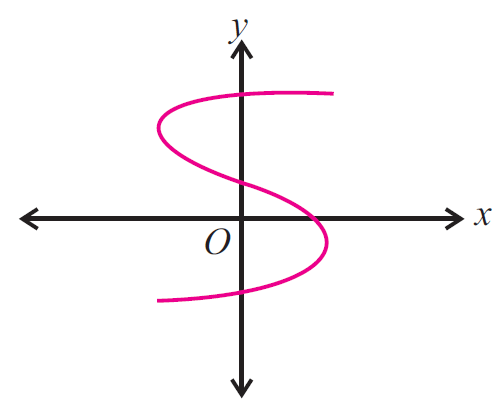 In the above graph, the vertical line intersects the graph in more than one point (three points), then the given graph does not represent a function. After having gone through the stuff given above, we hope that the students would have understood "Vertical line test for functions worksheet".